HALIFAX - A subsidiary of Japan’s giant Mitsubishi Corporation has unveiled an ambitious proposal to build salmon farms in Nova Scotia. The provincial government has granted Cermaq Canada four options to lease sites in the Chedabucto Bay region along the eastern shore, and in the St. Mary’s region south of Digby. The British Columbia-based company said Wednesday it will now conduct feasibility studies as well as extensive public consultations in Nova Scotia. David Kiemele, managing director of Cermaq Canada, says the company will need the support of the Mi’kmaq to proceed. 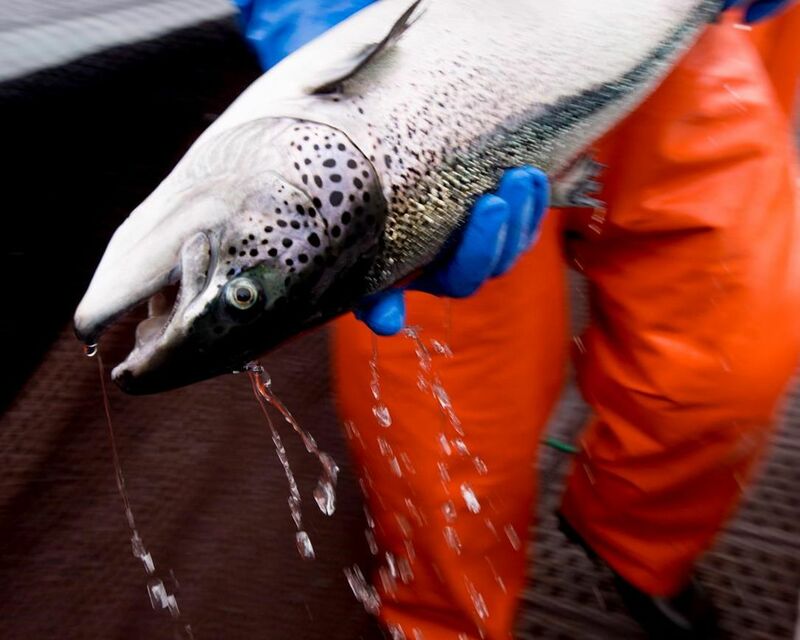 Keith Colwell, the provincial minister of fisheries and aquaculture, said Wednesday the company hopes to net 20,000 tonnes of salmon a year. The company expects the project would create up to 1,200 indirect jobs, he said. Colwell said he approved the options late last month, and praised the company’s approach. Linda Sams, Cermaq Canada’s sustainable development director, said they will now open an office in Guysborough, N.S., investigate sites and collect data. “We are coming to Nova Scotia with open minds, hearts and ears; looking for guidance, local knowledge and history. We admit that we don’t know what we don’t know as the saying goes,” she said in a statement. Cermaq says it has about 4,500 employees, with farms off Vancouver Island as well as in northern Norway and Chile. Colwell said Nova Scotia has the strongest fish farm regulations in the world, and that aquaculture firms are drawn to the province because of its “pristine” waters. “There’s a huge market in the world for protein. And as we can’t catch any more wild fish, and its going to be to the point that we’re going to have a lot more aquaculture in the world,” he said.